I was playing a doubles round with some friends of mine the other day when we got to hole number 8 at Newport News disc golf course and I had a new revelation. Most of this group are players I have recently introduced to the game and even though they had played the course several times from the short tees had never played from the long tees. We decided to try the long tees for some added variation and also decided that doubles would be a good starting point for playing a slightly longer course. We paired up stronger players with weaker players to ensure some balance in the game and everyone was playing extremely well. I fully believe that switching up the tees, baskets, or even the course is a great way to step outside of the box and really see what you can do. For some reason, forcing yourself outside of routine seems to help you break out of complacency and help to influence the mindfulness and focus that disc golfers need to play well. Disc Golf Yoga – Pre-round warmup from Youngblood Productions on Vimeo. Megan Nance is a health and fitness coach, helping people start their fitness journeys and providing the tools to be successful. Using an online platform, she helps people find fitness and nutrition programs that will work for their lifestyle, and connects them with support and accountability. Megan is a certified yoga teacher and has a passion for sharing the physical and mental benefits of yoga with others. Her husband has shared his love of disc golf with her and as a certified yoga instructor, has developed a customized yoga practice for disc golfers. She lives with her husband and daughter in Austin, TX. “I have been playing disc golf since the early 1990s. I played throughout college and post college. I fell in love with sport and would play as much as I could back in the day. Now I’ve got 3 kids and work quite a bit so finding time to play is not as easy. I used to play many tournaments every year, but now I may pick 3 or 4 events each year. I don’t play many courses even casually due to time constraints, but will still do field work and putt in my backyard to keep my skill set sharpened. I have grown to really love field work, especially once I got into yoga. Yoga helps physically, but my mental focus is undeniably better with yoga training. This can be said on and off the course. Since I still wanted to be involved and even give back to a sport that I loved playing, I started a company called Black Zombie disc golf in 2013. It was easier to work on my laptop and develop all these ideas to ‘color’ the sport I love. I instantly had aspirations to be BZ of DG much like Op was to surfing. I have never surfed in my life, but i’ve had Op wallets, shirts, shorts, and more. I look back at Op and they were able to capture the spirit of the ocean waves. I wanted to capture the spirit of the outdoors as it applies to disc golf. The image of intensity and accomplishment via the flight of a disc driven by a player. Black Zombie has been nicknamed BZ for obvious reasons, but more importantly the idea of being ‘busy’ outside is my focus. I try to motivate people to get off couch and get outside and what better vehicle than disc golf. I think disc golf was lacking, and still lacking more brands that inspire people outside of disc golf to take another look all while keeping disc golfers excited and engaged through cool graphics and positive energy. BZ has gotten very popular and the idea we are the disc golf infection has totally been embraced. 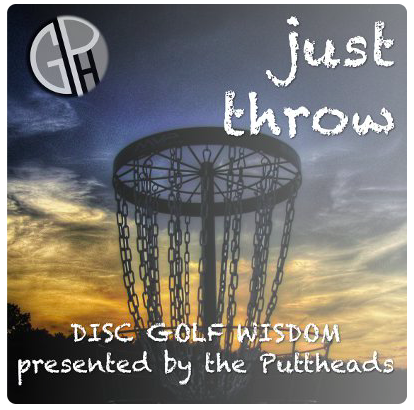 As us disc golfers know, disc golf is a sport that is infectious as we begin to play more and understand the flight of the disc against the elements. I have been doing yoga for over 10yrs myself. I really stepped up my yoga when my mother was diagnosed with cancer. To counter my stress levels I was able to increase my yoga in reflection to my stress. I whole heartedly feel that yoga was the best ‘medicine’ during this time before my mother passed from the cancer treatments. Cancer treatments and their effects on the elderly is a whole other soap box i’ve gotten on, but that is for another discussion. Between the FDA, big pharma, and the profit digging on our elders is disgusting. But, that was my stress and yoga was an amazing natural remedy. The Infinite Discs Large Disc Golf Bag is the perfect bag for disc golfers who have a lot of discs, and like to carry around some accessories with them, but don’t want to spend a fortune. This bag is made with premium 1680D fabric and quality YKK zippers. Every podcast we give away an item to a random person who has left a 5 STAR review on Amazon or iTunes! I have nothing but glorious praise for this book. I personally have the audio book and have purchased a copy for my brother. 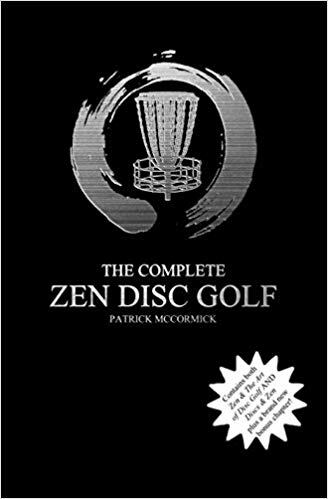 This is something that any one into the disc golf scene must read. It not only helped me on the course but off as well. I am the unfortunate bearer of a short fuse, and it can be a problem. The teachings in this book have gotten me to lengthen that fuse and even eliminate things that would otherwise light it. This holds true on the course as well as off as I find myself consciously calming myself whenever the need arises. If I had a physical copy of this book, it would be filled with highlights and dog ears with the amount of times that I have revisited chapters just to reaffirm the lessons. Combined with the podcast, Patrick McCormick has created a zen philosophy that I can understand and bring into my life. JOIN MIND BODY DISC IN DONATING TO ST. JUDE! Every little bit counts, please give what you can. Together we can make a difference. Remember, kids are the future of our sport. And for many kids, St. Jude is the key to their future. HELP US KEEP GOING AND GROWING! By supporting, you will be entered to win a $20 gift card from Infinite Discs. You will get one entry per donated dollar per month (i.e. Putter level =1 entry per month, Distance driver level = 3 entries per month). Cancel anytime!